Club Licensing is a tool for both the development and benchmarking of professional football clubs. Under the Club Licensing System clubs needs to comply with certain criteria to participate in National and/or AFC competitions. 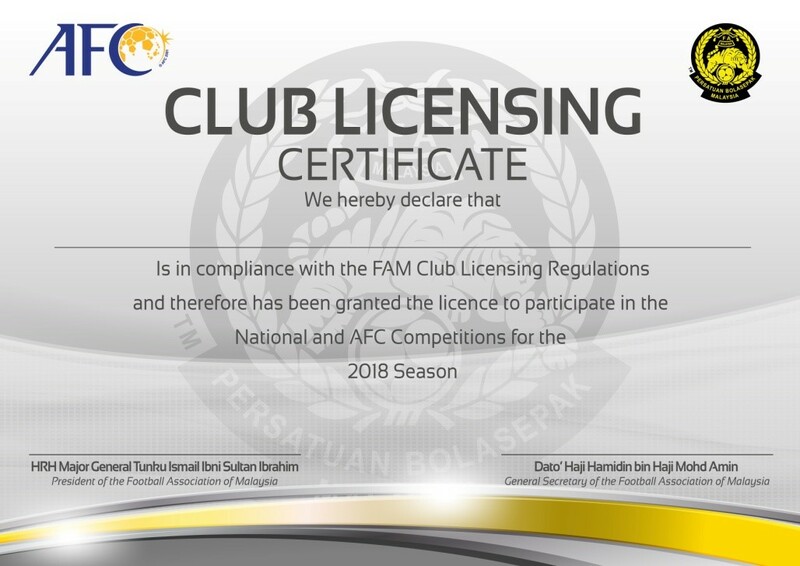 The FAM Club Licensing Unit makes sure that clubs are complying with the criteria and that the clubs are rigorously implementing it as well within its club. Clubs then have to meet all the Criteria listed in Section III of the FAM Club Licensing Regulations Edition 2019 and undergo an assessment with the First Instance Body (an independent Decision Making Body appointed by FAM).